No longer just the preserve of elite athletes and bodybuilders, nutritional supplements are attracting people from across the entire fitness spectrum. The most in-demand products are those that are able to support performance and muscle power during exercise or sport, as well as recovery afterwards. 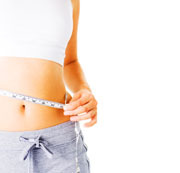 Consumers are also looking to boost their energy levels before, during and after exercise. Beyond all this, they also want products that are natural, safe and supported by scientific proof of efficacy. This is a tall order. 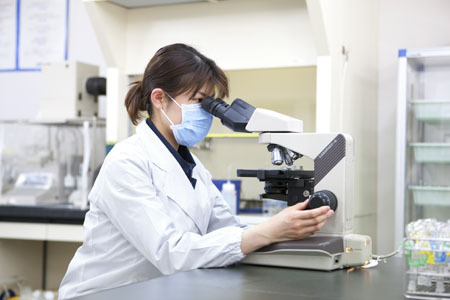 But one that Japanese nutritional ingredient supplier Kaneka has been studying closely. 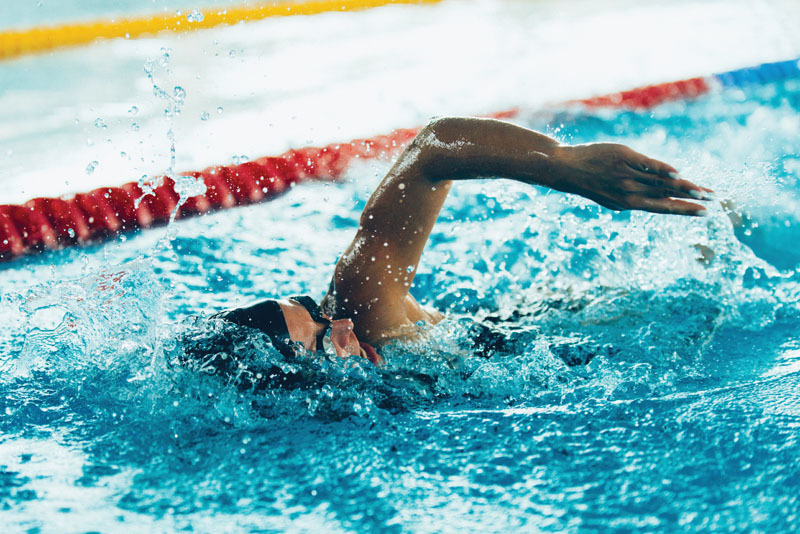 As the world’s pioneer in the production of natural coenzyme Q10 (CoQ10), the company is now leading the way with a new generation of sports nutrition products that are centred around one key ingredient: ubiquinol. 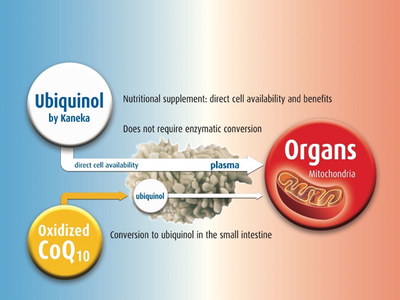 Ubiquinol is the reduced and more bioavailable form of CoQ10, but it is a relative newcomer to the sports nutrition market because of its inherent instability. The nutrient reacts very quickly with oxygen when exposed to air and turns back into CoQ10. However, having developed a proprietary method of extraction based on natural yeast fermentation, Kaneka now holds the patent for the world’s first stable, bioidentical ubiquinol, Kaneka Ubiquinol. Kaneka Ubiquinol is already being successfully used in a variety of nutritional supplements favoured by “best agers” looking to maintain and improve their health, energy and fitness. The potential benefits of ubiquinol to the sportsperson — whether amateur or elite — are many. Ubiquinol is essential for energy production. In fact, it plays a key role in mitochondrial bioenergetics and is responsible for generating more than 95% of the body’s energy. Ubiquinol is also the only lipid-soluble antioxidant produced naturally in the body, and it not only protects the mitochondria, but also various lipid membranes from free radical damage. The body does produce the vitamin-like substance itself, although our capacity to do so diminishes with age. Blood plasma levels are also reduced by illness, unhealthy lifestyles and strenuous activity. Ubiquinol is naturally present in certain foods — most notably in organ meat and some oily fish — but the amounts consumed from the average diet are not enough to compensate for what is expended during physical activity. As a bioidentical, natural product, Kaneka Ubiquinol is classified as “non-doping” and, as such, is already popular with professional athletes. There is anecdotal as well as scientifically proven evidence of the nutrient’s effects across many fields, from endurance running and football to swimming and weightlifting. In a placebo-controlled study conducted among 100 fire fighters, they proved that ubiquinol significantly reduces inflammation and helps to maintain the integrity of red blood cells, thus supporting the transport of oxygen to muscle tissues. 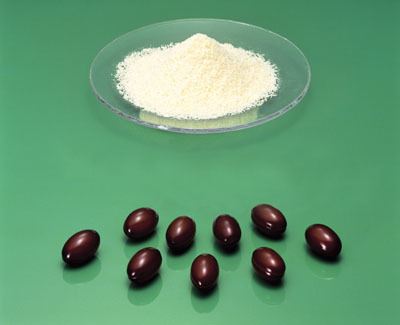 Kaneka’s expertise in this field means it is uniquely positioned to harness the powers of ubiquinol to other ingredients, including its Novel Food-approved liquorice root extract Glavonoid. This particular nutrient is especially promising for sports applications as its unique dual action supports muscle building and activates fat metabolism. The company has also developed ways of delivering ubiquinol in a variety of formats, from powders to gels. Kaneka’s five new Sports Prototypes are examples of final products that are already available in the same or similar formats outside of the EU. Processed in different and stable application forms, they illustrate just some of the ways in which Kaneka Ubiquinol can be utilised for better sporting performance. Ubiquinol All Day Energy is a daily use supplement containing 100 mg of ubiquinol. The soft vegicaps supply the body with a firm foundation that ensures an adequate daily supply of ubiquinol for all round energy. For those taking part in extreme sports, such as triathletes, or people preparing for competition, Ubiquinol Flash offers extra support. Presented in powder stick format, this prototype contains 150 mg of ubiquinol in a special stabilised form plus magnesium and vitamins, and can be taken without water during training for a quick boost as well as to promote recovery afterwards. It has been shown that even a single 40-minute bout of intense physical exercise diminishes the amount of ubiquinol in the blood significantly. Ubiquinol Flash has been developed to boost ubiquinol plasma levels so that peak levels are achieved just one hour after supplementation, thus promoting a rapid return to top performance. Magnesium is important for muscle contraction and relaxation, and a deficit may result in muscle cramps or weakness. A lack of magnesium may also impair the mitochondria’s ability to make energy. Prolonged periods of exercise also reduce the body’s immunity, which is why sore throats and cold-like symptoms are more common among athletes than in the general population. To strengthen the body’s defence mechanisms, Ubiquinol Immunity combines 30 mg of ubiquinol with multivitamins (A, B1, B6, B12, C, D3 and folic acid). Presented as a GelPell, a hard gelatin capsule filled with gelatin beadlets, this low excipient format also has the benefit of being clean label. Besides speedy recovery and immune defence, the building of muscle mass is often of paramount importance to those taking part in sport. 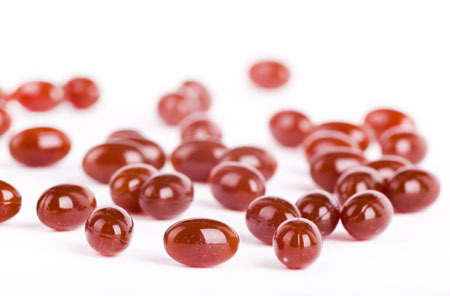 Targeting this, Ubiquinol Muscle soft gelatin capsules combine 60 mg of ubiquinol with 60 mg of Glavonoid. It has been shown that antioxidants in combination with protein ameliorate these symptoms, whereas licorice flavonoids are able to suppress inflammatory mechanisms.10 Glavonoid contains licorice flavonoids and plays an important role in reducing inflammation and keeping muscle tissue healthy. Designed to be taken after training, Ubiquinol Repair improves recovery and creates new energy. The gel, consisting of 100 mg of high-purity ubiquinol, 500 mg of carnitine, 1000 mg of branched chain amino acids (leucine, isoleucine and valine) plus vitamins, can also be taken pre-workout for an extra boost. This format is quickly and easily absorbed by the body, has excellent bioavailability and is ideal for those looking for fast effects. Research & Markets, Global Sports Nutrition and Supplements Market Analysis & Trends — Industry Forecast to 2025 (www.researchandmarkets.com/research/8kgxhj/global_sports). Y. Carpentier, et al., “Daily Food Intake of Coenzyme Q10 in Belgian Ambulatory Patients in General Practitioners (GP) Routine Practice is Insufficient,” presented at the 6th Conference of the International Coenzyme Q10 Association (Brussels, Belgium, 27–30 May 2010). U. Gröber, Metabolic Tuning statt Doping in Mikronährstoffe im Sport (Hirzel Verlag, Stuttgart, Germany, 2009). A. Sarmiento, et al., “Short-Term Ubiquinol Supplementation Reduces Oxidative Stress Associated with Strenuous Exercise in Healthy Adults: A Randomized Trial,” Biofactors 42(6), 612–622 (2016). I. Navas-Enamorado, “Ubiquinol Supplementation Positively Correlates with Reduced Skeletal Muscle Damage in Professional Football Players,” presented at the 8th Conference of the International Coenzyme Q10 Association (Bologna, Italy, 8–11 October 2015). D. Alf, et al., “Ubiquinol Supplementation Enhances Peak Power Production in Trained Athletes: A Double-Blind, Placebo Controlled Study,” J. Int. Soc. Sports Nutr. 10, 24 (2013): doi:10.1186/1550-2783-10-24. K. Hosoe, et al., “Study on Safety and Bioavailability of Ubiquinol (Kaneka QH) After Single and 4-Week Multiple Oral Administration to Healthy Volunteers,” Regul. Toxicol. Pharmacol. 47(1), 19–28 (2007). I. Beyer, et al., “Chronic Low-Grade Inflammation and Age-Related Sarcopenia,” Curr. Opin. Clin. Nutr. Metab. Care 15(1), 12–22 (2012). R. Yang, et al., “The Anti-Inflammatory Activity of Licorice, a Widely Used Chinese Herb,” Pharmaceutical Biology 55(1), 5–18 (2016). C. Myojin, et al., “Liquorice Flavonoid Oil Increased Skeletal Muscle Thickness as Assessed by Ultrasound in Training Football Athletes,” Nutrafoods 15(4): http://tiny.cc/tsmisy (2016).